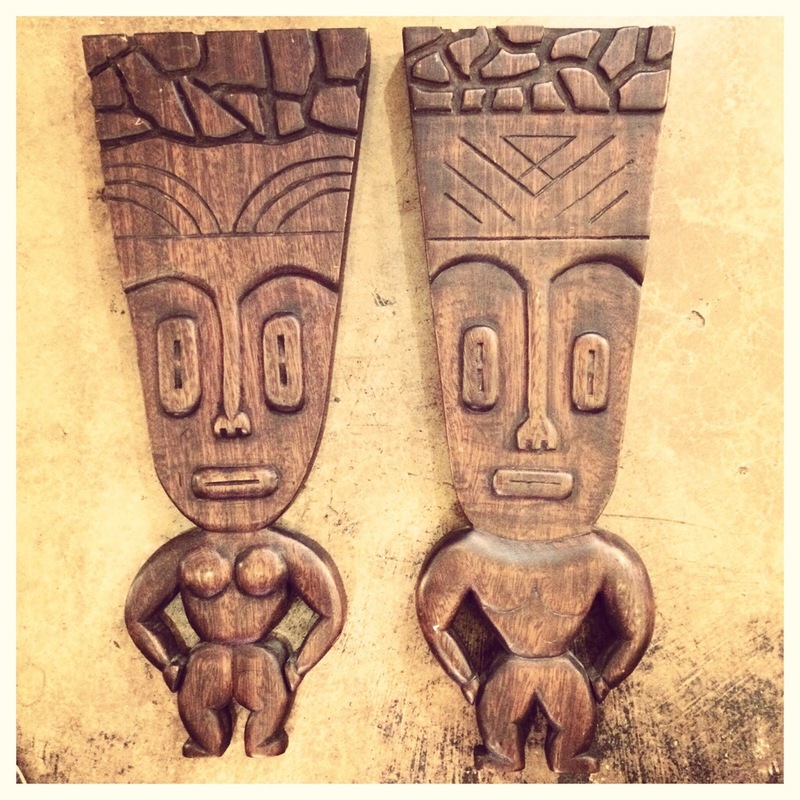 Two LARGE wooden Tiki guys just hit the floor!! $79-$89. 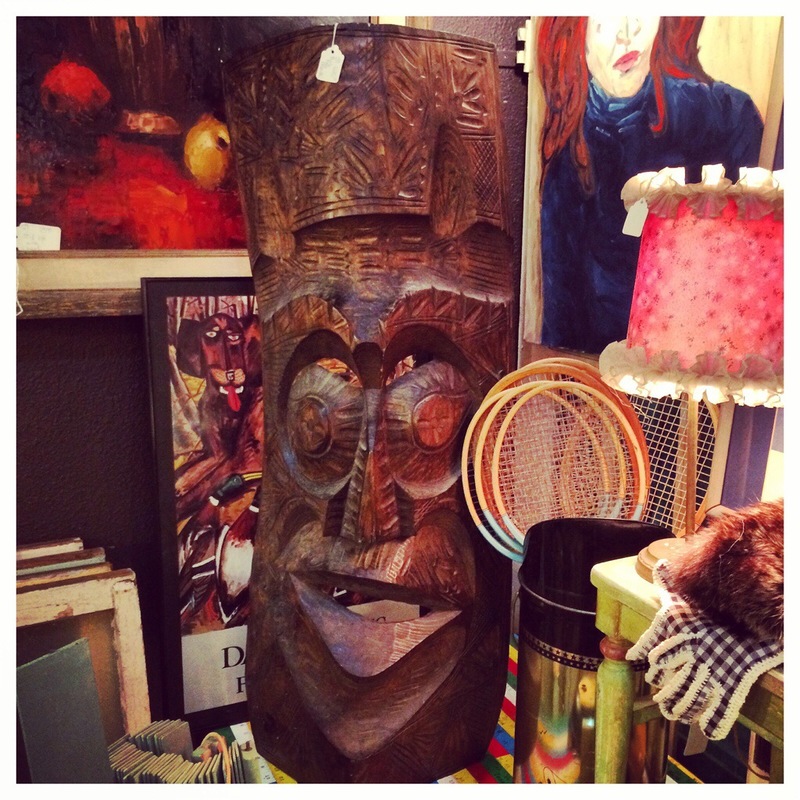 Big wood carved Tiki mask $225. 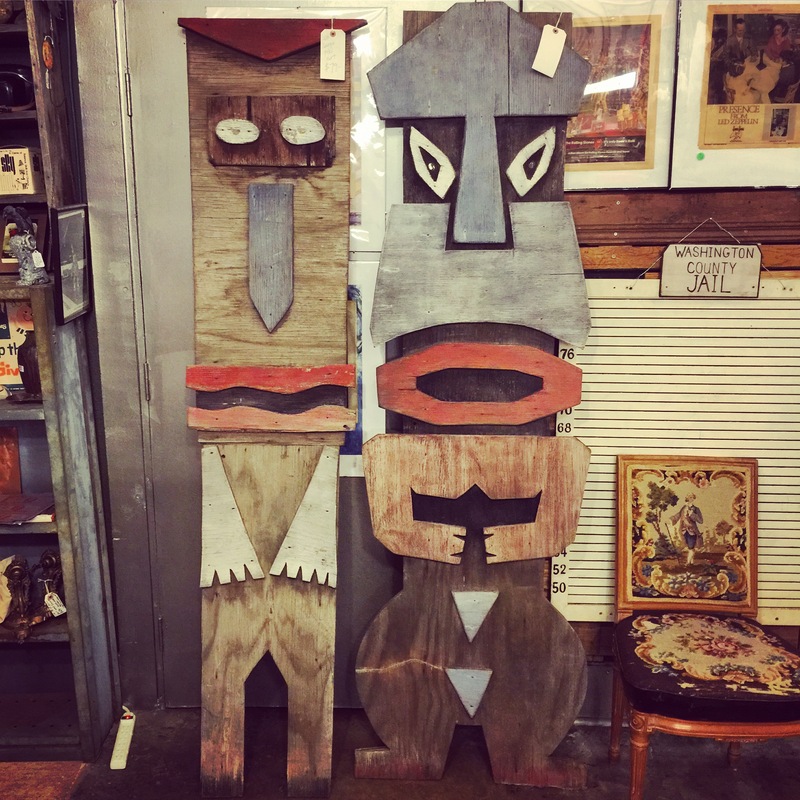 Tiki man and woman $185. 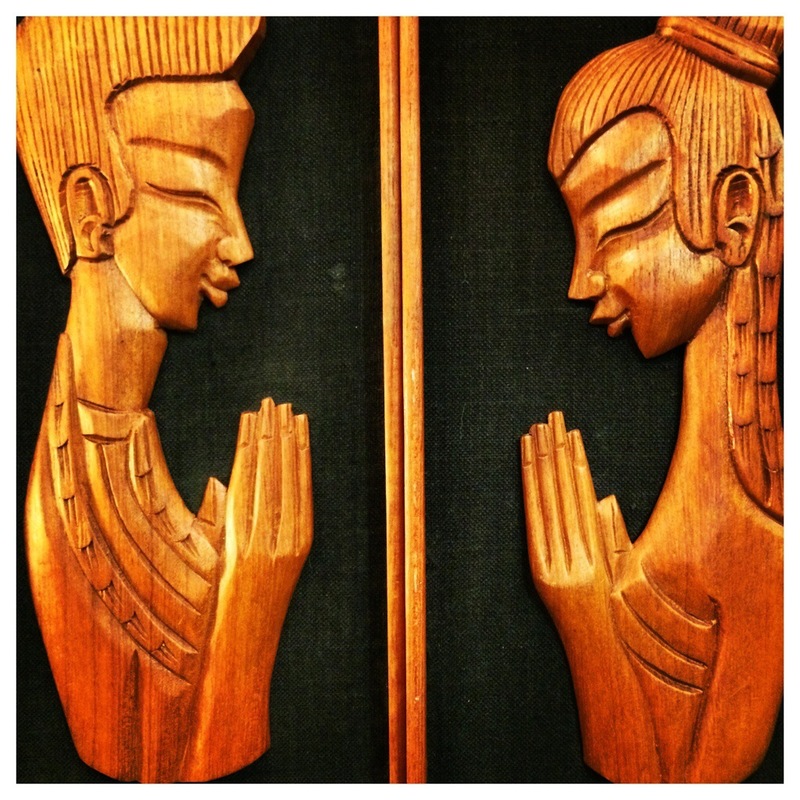 This is a pair of 1960′s Polynesian carved tiki wall hangings. $58 for the pair.